But I never really thought about them in a floral sense until I was talking to a mushroom farmer. We were at a tailgate market just making small talk among vendors when it came up...when are you getting married? 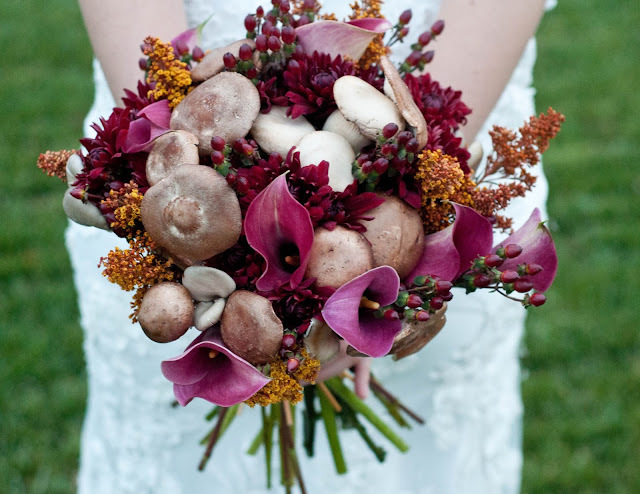 I said to him, can I do you wedding flowers to which he replied, "what are you going to make? A mushroom bouquet?" Yes. 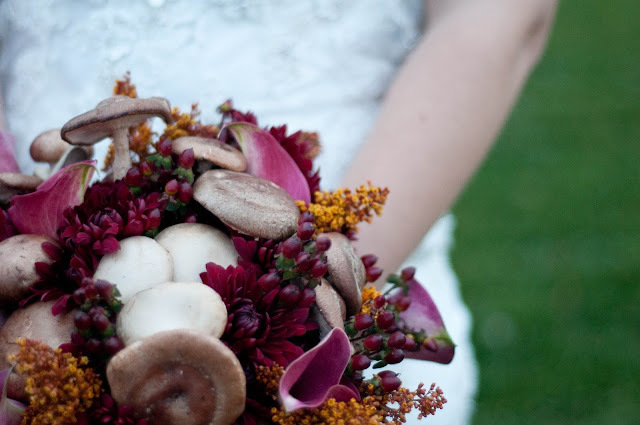 Obviously I can make a mushroom bouquet. 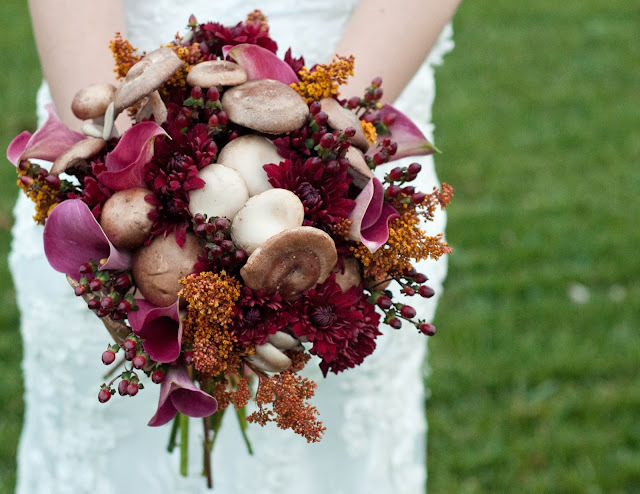 What a fun challenge to make a mushroom bouquet. 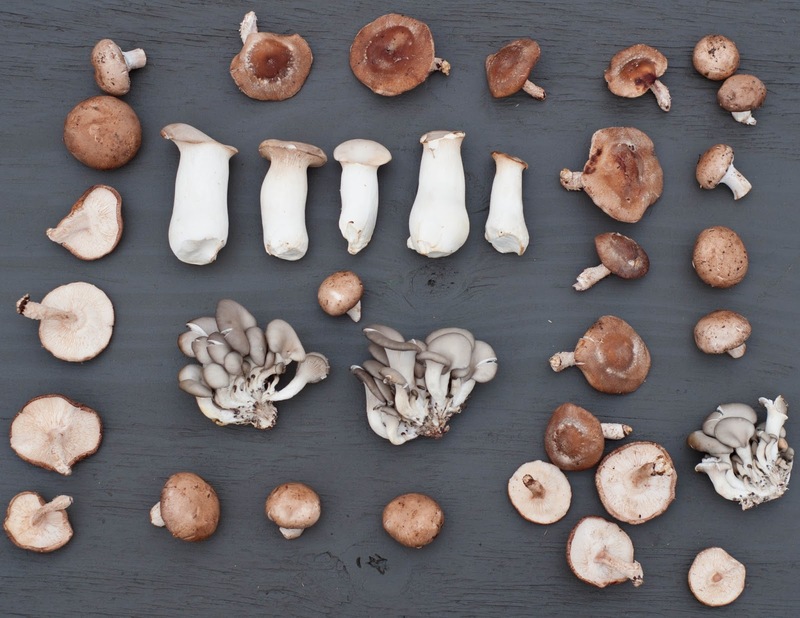 At first I thought whites and then as I studied the mushrooms...looking at the creams, and browns, and toasted reds I formulated a new idea. I definitely plan to make a few more mushroom bouquets experimenting with colors. I can't wait! This was an eye opening moment. 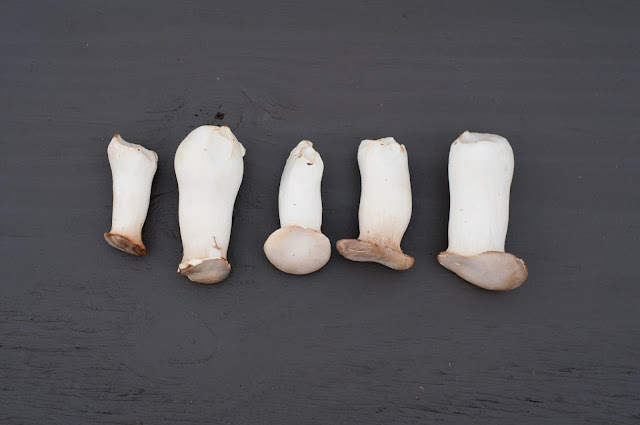 Now the challenge is what's going to be my next "mushroom" (creative, odd, bazaar) item to include in an arrangement. 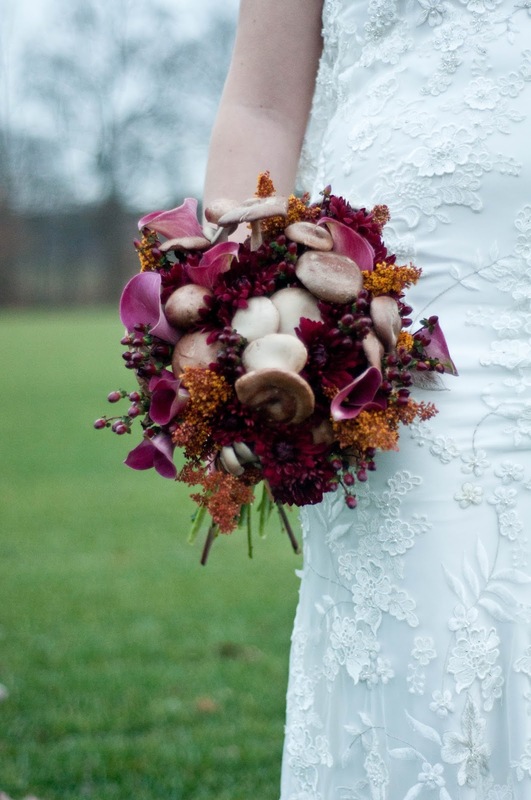 what i love most about this shot is the mushroom at the top where you can see the whole shroom...stem and all!